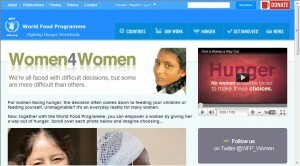 Women4Women actual page. It has a YouTube video and social media links. To the left are the countries that can be clicked on to find out about the specific need for the money. To the right is a recommendation given by a person who donated and an individual who was being feed at school. As you can see there are links that give individuals who want to get involved and help out different choices. These are social media tools. Hunger in the world is a BIG issue that is often over-looked, and to the point ignored. 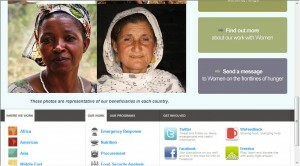 What would you do if you knew that somewhere in the world there are women and children dying of hunger? How about knowing that a women has to decide between feeding herself or her child. In reality, this is actually happening in countries, to name a few, like Bolivia, Kenya, Sir Lanka and Ethiopia. Recognizing that hunger is an issue the development of organizations started sprouting up and making it their goal to help fight off hunger and reduce the amount of women and children who go hunger. 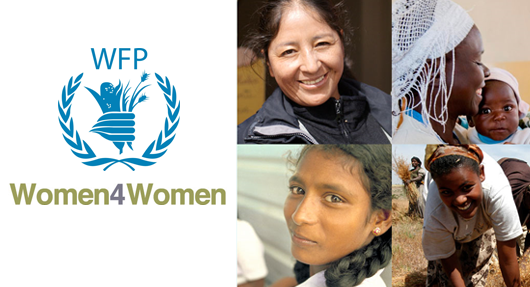 For example the World Food Programme, a branch under its mother organization the United Nations, started an initiative for women, Women4Women. 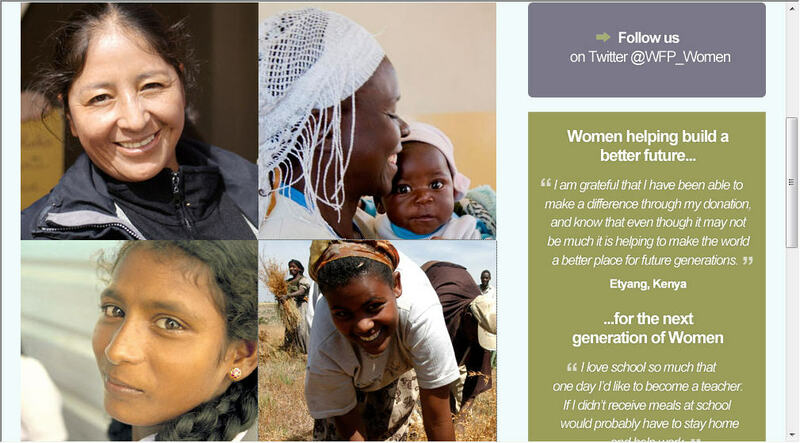 Women4Women focuses on helping women around the world fight hungry, but the main focus of the initiative is to get other women involved in helping out women. It might be due to the fact that women are more receptive when they are receiving help from other women. Or that women are more understanding on why women would rather feed their children than themselves. Which makes a whole lot of sense. 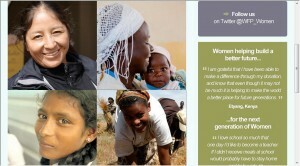 Let me tell a little about Women4Women and how it plays a role in Bolivia. Mothers in Bolivia who suffer from hunger often have to make difficult choices. They often have to choose between providing their daughters with an adequate education or having her work the fields. With just donating $50 a child, a woman’s daughter can be feed and can go to school for an entire year. As we know it is important to provide a child with an education and a nutritious meal that would allow them to focus in school. This is especially important for a woman’s daughter who is important for the future. It is important to note that as a donor you can choose where you would like your donation to go. You can put it towards proving girls with meals at school, providing nutrition for pregnant or new mothers, providing stoves to mothers who live in war struck areas, providing entrepreneurial training for women which allows them to work closer to home, providing the right food for a woman’s children, and helping women setup their own businesses to produce income to provide for their children. 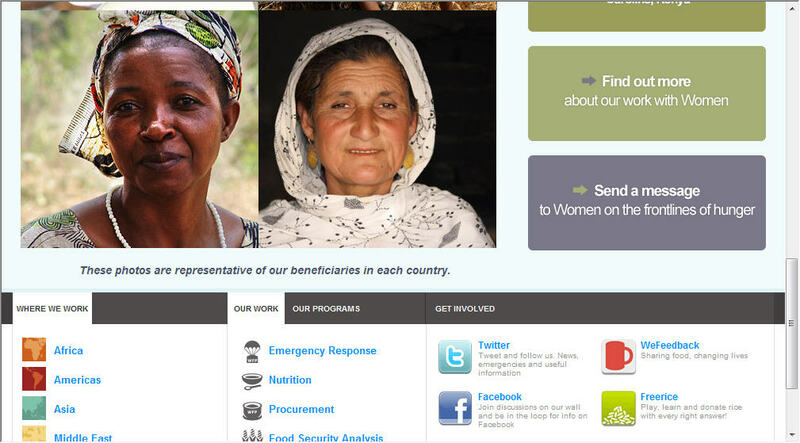 The countries that donors can choose from include: Bolivia, Kenya, Sri Lanka, Ethiopia, Sierra Leone and Afghanistan. 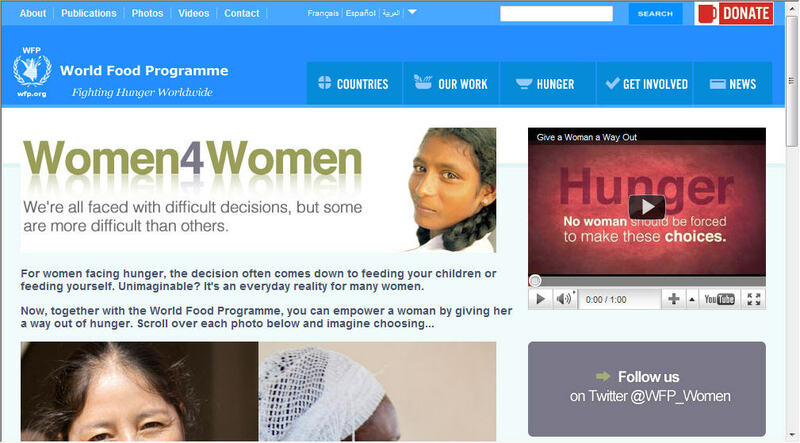 The World Food Programme can be followed on Twitter, Facebook, and YouTube. « Which Blog Categories would you like to see?